Intelligent vehicles have been around for quite some time already. Researchers at Freie University in Berlin have been working on this since 2006 and recently exhibited a Volkswagen Passat driving and parking at the intended place without any driver. Google’s driverless car project has received a lot of attention and substantial investments are now being made not only by car manufacturers, but also truck companies such as Scania. At such an early stage, it’s always difficult to assess whether a technology will remain as a niche product or gain widespread acceptance. Optimists point at the potential while pessimists happily explain the inherent weaknesses. Will driverless vehicles prevail or not? Below, I address some of the major skepticism related to this technology. Whether the technology will become clever enough or not is perhaps the greatest concern. The capability of a car to be self-regulating is ultimately related to the performance of hardware in terms of processors, sensors and communication technology and software in terms of sufficiently intelligent programming. Interestingly, this prediction has essentially remained accurate ever since. 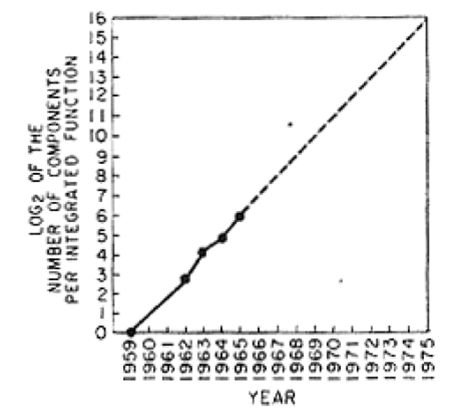 The graph below is thus a neat summary of what we now refer to as the information society (please note that the Y axis is logarithmic). There is a sufficient amount of computing capacity in the world for each ant to own a small computer (a microprocessor). About 10000000000000000000 transistors are produced each year and these can store information by switching on and off 1,5 trillion times per second. If you’d press a light switch on and off 24/7 it would take you 25 000 years to reach 1,5 trillion. 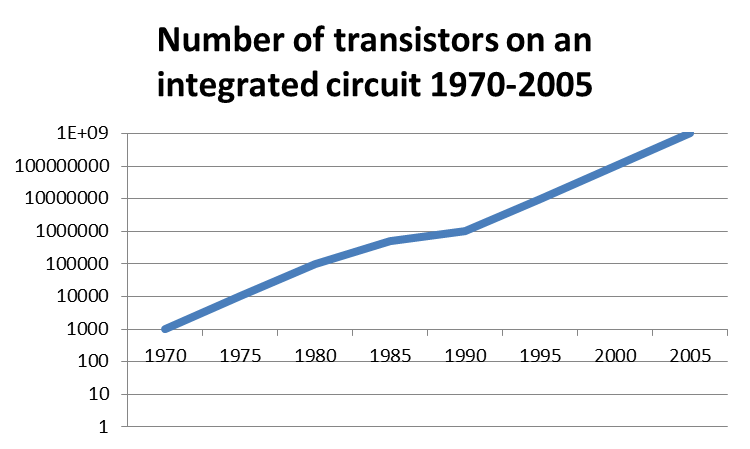 All this computing capacity as been absorbed by software, making these transistors increasingly intelligent and capable of performing more and more functions. When marveling at historical forecasts it is striking to what extent those who have understood Moore’s law came up with more accurate predictions than those who didn’t. History since the mid 1960s can be regarded as a continuous process where digital technology not only displaces other technologies, but also removes the need for human control and intellectual work. As hardware becomes cheaper and better while software makes all this technology progressively more intelligent at an exponential rate, electronics becomes increasingly capable of performing functions that were previously conducted by humans. But is digital technology sufficiently reliable? This is true, in most settings. But things can change. In fact, they’re already changing. The state of Nevada passed a law in 2011 that permits the operation of driverless cars. In May last year, the first license for a self-driven car was issued last year. California and Florida have also passed such laws while Michigan and New Jersey are currently working on it. While there are always special interests trying to block such changes, there are also companies benefiting from changing legislation. In this case, Google has played a key role in the process. This quote provides a great summary of economic history over the last 300 years puts an interesting perspective on driverless vehicles. The industrial revolution created engines and technologies that made us capable of using physical power beyond our muscle, but the human brain was still needed to monitor the process. The next logical step is therefore that electronics will remove the need for human control. The question is therefore not if, but when and how. 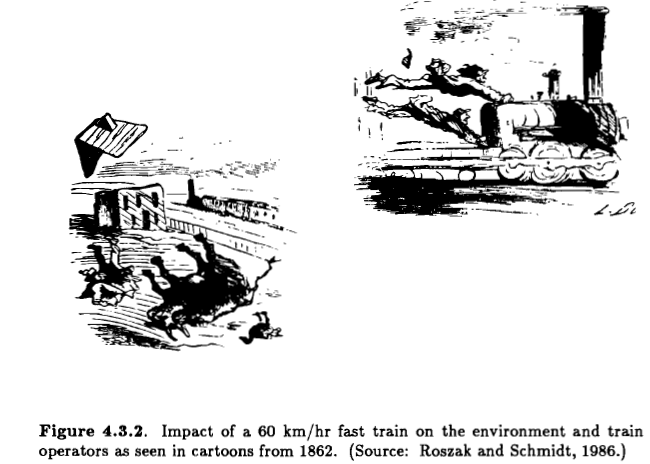 Summing up, those who argue that driverless vehicles will never prevail for technological reasons may in the future be looked upon as the Thomas Watsons, Smith Barneys and JP Morgans of our time – they underestimated the dynamics of digital technology and therefore ended up making predictions that in retrospective look funny. New technologies are frequently met with skepticism. Much of it is usually ill-founded.